The GMs' picks are out to a bad start. Remember the NBA’s annual general manager survey? In it, each of the NBA’s general managers was asked to pick the top four teams in each conference. The results had the Golden State Warriors as the clear No. 1 team in the Western Conference, but beyond that the Houston Rockets were the clear No. 2, with OKC in third and the Jazz in fourth. Behind Utah? The LeBron James Lakers in fifth. And through five games of the NBA season, you can’t help but notice: those teams around the Jazz, save Golden State, are looking pretty vulnerable. Now, here is my federally-required paragraph of caveats: it is very, very early in the season. Most teams have played just five games. That is a chronically small sample size. If we examined a random stretch of games in the regular season — say, the ones in the second week in January — as closely as we do the first five, we would end up with some pretty goofy results. Last year, the Orlando Magic were sensational in the season’s first two weeks, and started with a 4-1 record. It was the other weeks that were the problem, and they ended up with only 25 wins. It turns out that it’s difficult to shoot 46 percent from 3-point range for the season, and in fact, the Magic ended up 28th in that stat. The crash was not surprising. But in the case of the Jazz’s Western Conference competition, the struggles that they’ve had are reflective of worries that many did see coming into the season. Take the Houston Rockets' poor start: they’re in the bottom ten in the league on both ends of the floor. That offense will rebound: James Harden should get healthy, and Chris Paul probably won’t poke anyone in the eyes again to get himself suspended. But the defense? That’s a real question mark, with Trevor Ariza and Luc Mbah a Moute swapped for the lead-footed Carmelo Anthony. Switching on defense works when everyone can stay in front, but it’s not clear 'Melo can do even that. Oklahoma City has gone winless through their first four games, they rank dead-last in the league in offensive efficiency. Again, there’s an easy explanation for some of the woes: Russell Westbrook missed the team’s first two games due to injury. 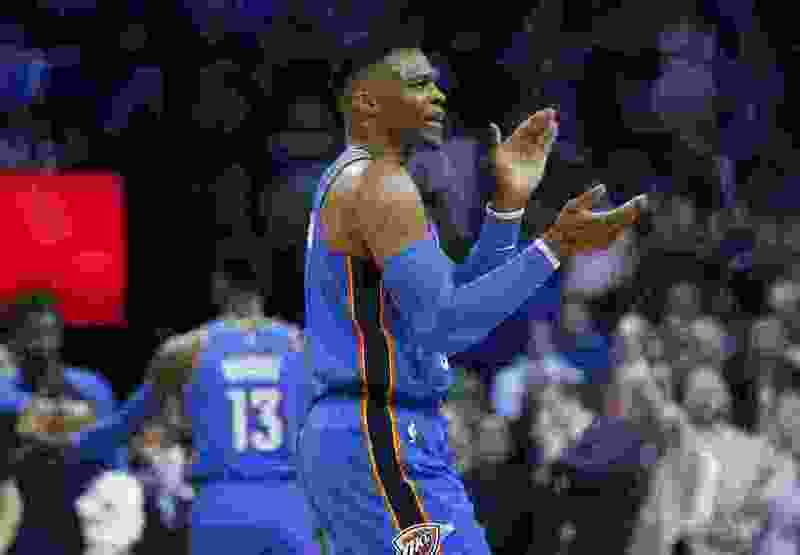 But that doesn’t necessarily fix their bench, which relies heavily on Terrance Ferguson (shooting 19 percent! ), Alex Abrines, and aging Raymond Felton to make plays. Dennis Schroder hasn’t been efficient, either, and while he won’t end up shooting 30 percent for the season, it’s not as if he’s known as a leader in always taking good shots, either. The Lakers are struggling with predictable defensive issues too. No one is shocked that a team with Javale McGee as lead defensive difference-maker is for some reason struggling to stop teams: the Lakers have given up an average of 124 points per game so far. 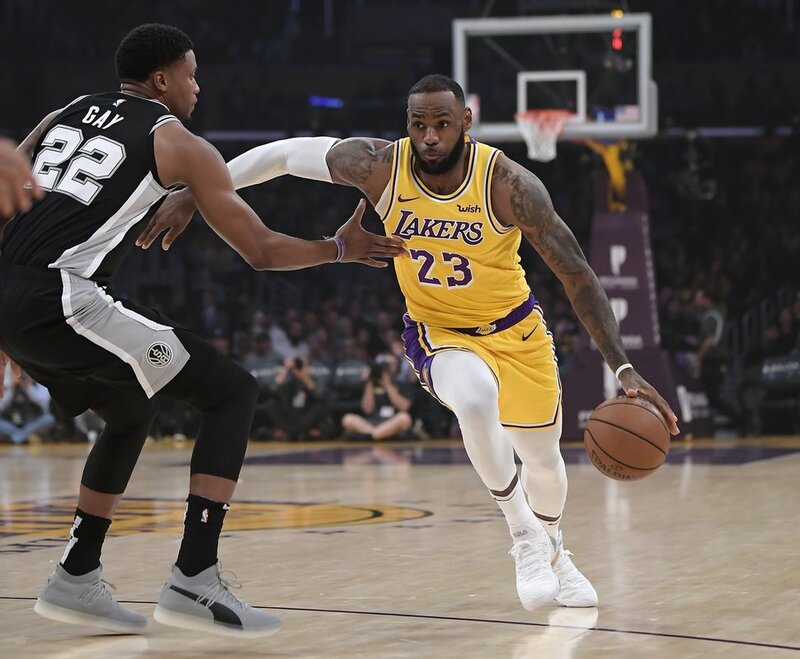 That team does have depth, but they need smart play to really contend for the top of the West, and I’m not sure they’re going to get it with Lance Stephenson (famously blew into LeBron’s ear in Indiana), Rajon Rondo (spit into Paul’s face before hitting him with a vicious left hook), and Kentavious Caldwell-Pope (spent 25 days last season in jail, though was allowed to leave for practices and games in California) surrounding the youth. Without those teams, there’s a real opportunity for the Utah Jazz to step up and earn even as high as the second seed, something ESPN’s Kevin Pelton predicted before the season with projection system. To be sure, Utah has shown flaws too: Ricky Rubio, Donovan Mitchell, and even the team’s defense have started the season with up-and-down performances. But if the Jazz play to their potential, they could set themselves up with home court advatage through the playoff’s first two rounds. If anything, the best competition has come from the supposed “third-tier” teams in the conference. The Pelicans have started the season off really well, and seem to have found something with their big man trio of Anthony Davis, Nikola Mirotic, and Julius Randle. Davis can lead the way as a 7-foot perimeter forward/center who is essentially impossible to stop. Randle and Elfrid Payton will probably regress some, but that looks like a very good team. The Denver Nuggets are also ablaze thanks to their talented 7-footer. Nikola Jokic has seemingly taken another step forward, including a 35-point, 11-rebound, 11-assist triple-double that came with Jokic shooting a perfect 100 percent on 11 shots from the field. That’s one of the best stat-lines you’ll ever see. Their defense seems to have come along much better than expected too: they’re forcing turnovers and getting defensive rebounds on their opponents missed shots, and they rank third in the league overall. That will fall, but even when it does, they’ve set themselves up to surpass low expectations. Will all of this hold up? No, of course not: the NBA season lasts through April, not October. The “season is a marathon, not a sprint” cliche mostly holds up. There’s just one exception: while a stumble out of the gates can hurt, there’s no harm in sprinting as fast as possible to start the race.